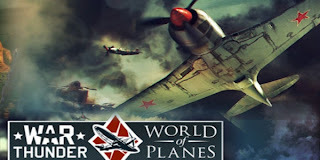 Welcome to the War Thunder ME109 guide by MOBB. Here is a baseline strategy for the aircraft that will maximize its strengths while minimizing its weaknesses. First of all the best thing you can do is not concern your self with the kill credit at all but instead how you can help your team over all. As, a high altitude fighter my main concern is sweeping other fighters and bombers over 3000 meters in that order. the reason is once they lose altitude they become part of the “furball fiasco”. What’s a ”furball fiasco”? a “furball fiasco” is where every gathers into a huge gaggle of twisting and turning fighters where a random reserve fighter that you didn’t see can down your expensive to repair me 109 or spitfire. it exposes you to the most random risk with zero advantage and inherently puts you in a low energy state. I will tell you right now, I average about 4 to 5 kills and zero deaths in a game using this technique, earning wise I earn about 9000 to 10000 both in experience and lions. I usually don’t have the highest score but here is where you see the in game rewards system work its magic. I get multiple bonuses at the end of the round for not getting shot down with most kills, most assists, many, many crit hits. to give you an idea the most assists is a 2000 point bonus by itself, the best reward for patience involved in this strategy is getting a kill notification upwards of 5 minutes after you hit a bombers fuel tank or oil reservoir. SO, heres a few tips as a high altitude fighter to achieve this works best with ME109 so far or fast attacker. Your goal is to deny the enemy fighters and bombers the safety and opportunity of high altitude airspace and force them to fly through the “furball fiasco”. You don’t have to kill them… if they start diving to get away beyond retaining the energy to climb again let them go. Second method - (much higher risk of being shot up and in way of wingman) if you know his turret has a blind spot like a beaufort under the plane fire up into him if you can safe bet right? wrong… problem is if he jukes down or you up slightly you get hit with twin 12mm machine guns….not good. instead about .80 kilometers just barely where the aim indicator light up now if you have canons place bottom edge of it on the top of his engine and move left to right raking him with canon fire. Do not close the distance. the reason why your raking left to right slightly is it makes you move your rudder making it very difficult for him to shoot you. its a very small movement but is very effect since your fighter is much smaller than him… in short you can hit him because hes bigger and you are smaller….80 is the farthest out that this works….same criteria as method 1…the second he has a dead rudder, on fire, any major crit… or dives for the deck let him go…move on to another bomber at high alt. Map a button to reload your guns during luls in battle or between bomber attacks. I have my reload mapped to R.
You can arrange multiple bombers in a line and hit them in one straight line pass, works well at start of round to disrupt attacks. Don’t let the enemy bomber sucker you into getting closer than .75-.80 km break off if you have to from your attack, be especially vigilant when he banks or climbs turn outside of his turn radius or delay your pursuit path to follow his not turn into it… it got me a few times when I wasn’t paying attention then got lit up at .30km and engine damage. Your engine is in the front… distance and 90 degree strafing runs are your friend. I hope these tactics help your overall strategy. I can tell you I tend to get about 4 to 5 kills a game with 0 deaths consistently and a ton of critical hits and assists.